Welcome to John Pajak's Internet world! These are my 70 and 72 W30s! read more about them in the My Cars and Trucks section! Be sure to check out the new entries in the Visitor's Rides section!! Click the link to the left. I've been remiss in not posting new Visitor's Rides lately. I promise to do some soon! 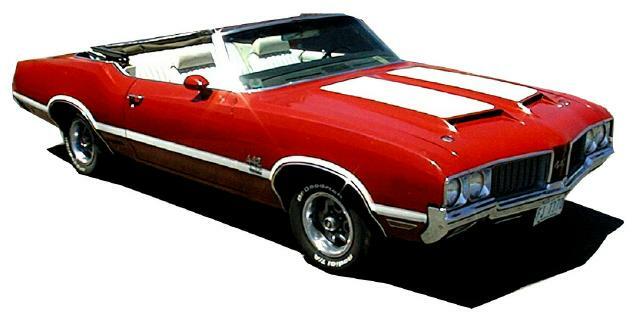 I've been a diehard Oldsmobile fan since 1979 when I got my first Olds, a 1969 Cutlass S 2 door Holiday coupe. I've been driving, racing, collecting, and working on them ever since!! Visitor's Rides! I get email and pictures from all over the world. DO YOU HAVE PICTURES OF YOUR OLDS, BUT NO WEBSITE?? I'll post them for you!!! !